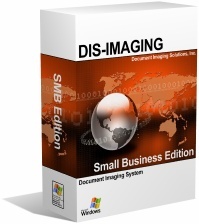 Document Imaging Solutions offers a PDF based document imaging system for two-hundred dollars a month. and other organizations that need affordable document imaging and document management. With our Small Business Edition you give up some automation which isn't of any value unless you are processing more than 8,000 documents a day. Why pay for something that you don't need. With our match-and-merge technology, any company can easily process and manage the conversion of their paper filing system into an efficient and easy-to-use electronic document filing system. And, because you're not trying to manage the high-end automation required by large organizations, you don't incur the expense of all the IT support that goes along with it. A paper-based filing system is costing you time, money, and business. In today's business environment, you need to maximize your time and productivity. Watch this video to learn how. Paper is a barrier to your efficiency. Studies show that one-out-of-ten paper documents are lost or misfiled. Simply put, this means that you can spend a disproportionate amount of time looking for information that you will never find. According to Gartner research, the average office worker spends 10 hours a week or 25% of the time searching for information. Many organizations attest to the fact that it may take someone five minutes to answer a customer question but an hour to find the information. The handling of paper in most offices is a nightmare. Document imaging provides instant access to needed information. A dream come true! Most office workers will increase their efficiency in the office by 15% - 25% by using a document imaging system. At that price anybody can afford to take advantage of document imaging to gain significant increases in efficiency. Note: This price is only available to small businesses. Small businesses are companies that have 20 employees or less. Lease or Buy: It's your choice! Our month-to-month lease is stunningly inexpensive... but some companies prefer to buy our software outright. The choice is yours but either way you get the same powerful system: one that is easy to use and easy to learn. Just imagine if you could free an extra 5 hours a week just by using a free piece of software. The system can be used on a single server or a stand alone PC. You can get an overall understanding of our software, including screen shots by examining our document imaging process. PDF document. Therefore, an organization can scan documents using the manufacturers scanning software and automatically send the new image to a suspense folder where our software can then process the image. This function is ideal for organizations using a multi-function scanner/copier/printer. This allows an organization to scan from multiple locations and temporarily store the image in a suspense file. Once the operator has labeled the document and saved it to its permanent location on another directory, the document located within the suspense file will automatically be deleted. This facilitates workflow and eliminates the need to manually delete the scanned image from the suspense folder. Furthermore, it is ideal for organizations with multiple locations that want to scan at one location and forward the documents to a different location for labeling. This feature allows you to use key words from a PDF document label in the file name, such as "customer name". Now instead of a file name such as 123456.pdf the document can be named ABC_Company_Invoice_39874.pdf. You are able to create subfolders within a directory which are named by one of the label fields. For example, one might have a directory called customers,and each customer may be a subfolder in that directory. This feature is useful to organizations that use subfolders with other applications and allows for the easy lookup of documents within the subfolder. Each document profile can have its customized dropdown menu. As an operator begins typing information contained within a dropdown menu the entry will self complete once a unique string of characters is entered. The operator can also select an item from the dropdown menu and it will be inserted into the field. The benefit of dropdown menus is that the labeling stays consistent and there are no misspelled words. This also minimizes the amount of typing because most words are completed in one to three keystrokes. This feature allows you to create a subset within a database and link the label fields to the database. When the operator enters data into a designated field, the remaining fields will be auto-filled from the database. For example, you may recognize a bar code that represents the invoice number and the customer name, customer number and location would self complete. This minimizes the amount of information that an operator would have to type into the label fields. The PDF file format was developed and released by Adobe Systems in 1993 and has become the de facto standard in electronic document distribution worldwide. It was originally developed for the US federal government to store its legacy files. In fact, the US federal government is still the largest user of the PDF file format. One of the advantages of the PDF file format is that documents are easily shared with people outside of your organization. PDF documents can be shared, viewed, and printed by anyone using the Adobe Reader software which is available as a free download. There have been over billion downloads of Adobe Reader so most people already have it installed on their computer systems. Ease of use is extremely important if one is going to get the cooperation of employees in the adoption of the system. When it comes to software there is a simple rule of thumb; simple is better. We have designed our system so that all the bells and whistles are under the hood, and the user interface is clean and easy to use. Most end users are comfortable using the software interface within five minutes of use. "Your system has been rock solid. It's been over a year and not a glitch. I haven't even bothered with software upgrades because I might break it!" "I researched many different types of document imaging software's and ultimately chose DIS-Imaging software. I can say with 100% certainty that we made the right decision, the software is stable and technical support for this software is second to none." "I have been seeking a document imaging system for 30 years and I never found an acceptable solution until I found DIS-Imaging. After six months of operations, it delivers more than what was promised. It is a spectacular tool and program and has revolutionized document storage and retrieval." "I had an unpleasant experience with an imaging company about five years ago. I therefore researched my options extensively before settling in on your product four years ago. Your user-friendly product greatly exceeded our expectations. Everything is so simple. We were up and running immediately and haven't looked back. In four years, it hasn't been necessary for me to call with a single problem or glitch." You will get a search index that will index over 100,000,000 of the documents created by our software. Compare that to a Google Search Appliance that will index one-million documents and is priced at $32,000. The search index with our system will index 100 times that amount of documents and is included in the price of the software. You will get the latest in document imaging technology, one that embeds the key search words into meta data fields created by our software. Instead of spending 30-hours a month to maintain the integrity of the system, you will only need to spend 30-minutes a year. That represents a savings of 359 man-hours of IT support time each year. You will get a system that does not hold you hostage to the vendor. If for any reason you decide to change systems, you will have complete accessibility to your documents and will not have to pay an exit fee as is the case with systems that use a proprietary compression table. They are your documents and you will always have access to them, even if we no longer are doing business together. You will get a system that uses the PDF file format. This is a non-proprietary format which can be viewed and printed with free Adobe Reader. This makes it easy to share information with people outside your organization. You will get a 15% increase in productivity of your office staff. To state that another way, for every 20 office staff employees, you will be able to release 3 full time employees to other more important jobs or you can grow your business by 15% and not have to hire additional office personnel to handle the increase in business. A document imaging system empowers an organization to find customer information instantly from your PC. Customer service calls are about customers needing information that they can't find on their own. Since searches results are immediate, you will be able to answer most customer service questions on the first call. Providing needed information to the customer on a timely manner, ensures a satisfactory experience for the customer. Your organization will make better business decisions. The foundation to good business decisions lies in access to quality information. Buried in you paper files is important information pertaining to your customers and your business which for all practical purposes is lost and is therefore useless in your decision process. When that information is converted into an electronic format which can be accessed instantly from you computer, its value can be utilized in your decision process. Your business is at risk of going bankrupt if its paper records were destroyed by wind, water or fire. A significant advantage of electronic records is that they can be backed up and stored offsite. With our system, you could be fully operational in a matter of days compared to weeks or months with a database - file structure document imaging system. But most importantly, you will still be in business. Consider a typical office worker who spends 40% of their time looking for information. Further, an average organization makes 19 copies of each document, loses 1 out of every 20 documents and spends 25 hours recreating each lost document. This represents significant employee time that relates directly to corporate efficiency and profitability. A typical professional can spend up to 500 hours of their time, annually reviewing and routing files and another 150 hours looking for incorrectly filed documents. This amount of time quickly adds up to 35% of an employee's time reviewing, routing and looking for lost documents. In a business atmosphere, where firms are looking for ways to cut cost and increase productivity, a need exists to replace obsolete paper filing system with a document imaging system to gain the benefits inherent in electronic documents. The time saved retrieving electronic documents is enormous. When a disaster strikes, whether a fire, flood, tornado or other dangerous event, the initial damage is only the beginning of disruptions that can last weeks to years. Gartner Research recently released a chilling statistic: two out of five enterprises that experience a disaster go out of business within five years. One of the inherent benefits of an electronic document is that a copy of it can easily be created and stored off-site. Although enterprises routinely backup their servers, the problem lies in that 90% of an organization's knowledge resides in paper. The advantage of our document imaging system is that it converts these paper documents into electronic PDF documents, which can be copied and stored off-site. The return on investment for this benefit is not measured in dollars and cents, but in peace of mind. There are fixed costs associated with a paper-based filing system that can be eliminated with a document imaging system. There is the cost of file cabinets and file cabinet real estate. There is the cost of paper, coping costs, and the cost of off-site storage. Our document imaging system allows you to store 2,700,000 documents on an 80 GB hard drive costing about $125. Contrast the one time charge of $125 to the annual cost of maintaining 296 file cabinet drawers. Nobody likes looking for documents. According to Cooper & Lybrand, 10% of all documents are either lost, misfiled, or on somebody's desk. Looking for these documents can be a frustrating experience. With a document imaging system, multiple people can have access to the same document. In addition, lost and misplaced files become a thing of the past. The result is one where frustration levels decline and employees can focus on the parts of their jobs that they do enjoy. Customer service calls are from customers needing information that they can't find on their own. A document imaging system empowers an organization to find customer information instantly from your PC. Since search results are immediate, you will be able to answer most customer service questions on the first call. Providing needed information to the customer on a timely manner, insures a satisfactory experience for the customer. One of the consequences of not finding information, or finding it too late is the creation of unhappy customers. In most cases, the customers are already experiencing a certain amount of frustration about their inability to find the information within their own office: It becomes almost unforgivable if you can't find it. To work as effectively as possible, employees need fast, easy, accurate access to customer information. With a document imaging system the needed information can be retrieved instantly from your PC, and copies of the documents can be emailed immediately to your customer, without any time delays. Providing prompt service to your customers on the first call and avoiding the need to put them on hold results in stellar customer service and satisfied customers. All of the benefits I mentioned throughout this web page, all the bonuses, are yours for the ridiculously low price of $200 a month. At that price management shouldn't even take 5-minutes to make a decision. It's smarter, cheaper and way more effective than paper. For $200 dollars a month you will receive a single server license for our indexing engine. Our index engine will index 100 times more documents than a Google appliance that sells for over $30,000. You will also receive unlimited viewing workstations to search, retrieve, view and print any documents in the document imaging system. You also get the ability to scan from as many locations as you like to a network suspense file folder. Finally, you will receive two labeling workstation license. A single labeling workstation is capable of tagging 5,000 pdf files a day. Plus we will guarantee that price for 36 months. When was the last time you bought software from anyone that said they would guarantee the price for three years? Doesn't happen. The high costs to an organization of not finding information, or of finding it to late, include faulty decisions, duplicated efforts, lost productivity, and missed opportunities. Its impact can cascade throughout an organization. To work as effectively as possible, employees need fast, easy, accurate access to customer information. Our document imaging system does this in the most cost effective way.